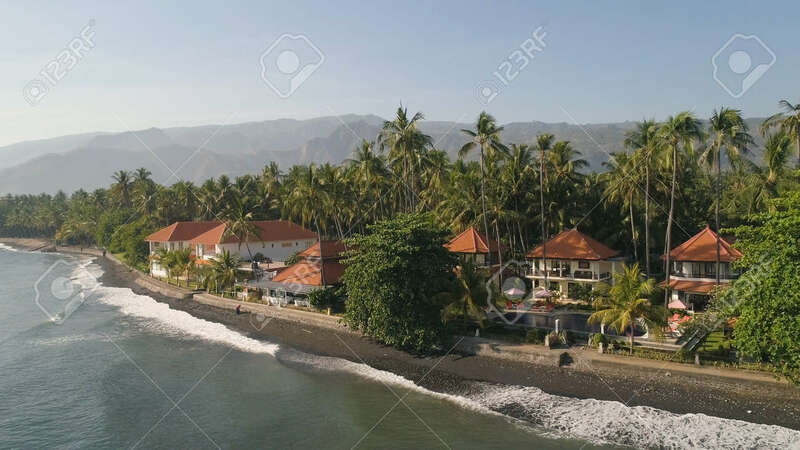 Aerial Seascape Luxury Hotel On Beach Background Mountainss In Tropical Resort. Bali,Indonesia, Travel Concept. Lizenzfreie Fotos, Bilder Und Stock Fotografie. Image 115258403. Standard-Bild - aerial seascape luxury hotel on beach background mountainss in tropical resort. Bali,Indonesia, travel concept. aerial seascape luxury hotel on beach background mountainss in tropical resort. Bali,Indonesia, travel concept.